President and CEO, Emory-Children's Center. The Marcus Foundation, Inc. has committed $5 million to the Department of Pediatrics in Emory University School of Medicine. The gift, which continues a long philanthropic relationship between the foundation and the department, will create the Marcus Society in Pediatrics. The Marcus Society will comprise and be the "intellectual home" for 15 Marcus Professors in Pediatrics—six existing Marcus Professors and nine who are newly funded. The Marcus Society also will host an annual visiting scholar. The 15 Marcus professorships represent the greatest concentration of these distinguished academic positions funded by a single donor in any one area at Emory. "The Marcus Foundation continues its tradition of philanthropic trailblazing with this most recent commitment. Emory is honored to house the Marcus Society—the first society of its kind at Emory and, to our knowledge, nationally. This is a fitting tribute to the Marcus name—one that is synonymous with ingenuity, action, and compassion," says Wright Caughman, Emory's executive vice president for health affairs and CEO of the Woodruff Health Sciences Center. 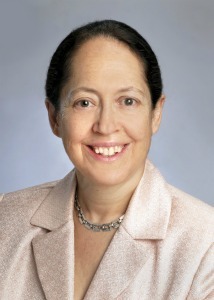 president and CEO of the Emory-Children's Center. "These professorships already have helped us recruit outstanding faculty leaders—a trajectory that will continue thanks to this wonderful new gift. We envision the Marcus Society as the heart of the department with an identity associated with excellence, results, innovation and outcomes." The Department of Pediatrics is the School of Medicine's second largest department, with 312 clinical and research faculty. In 2011, the department ranked 18 in the nation in extramural funding from the National Institutes of Health. That year, doctors from the department had more than 140,000 inpatient encounters and more than 230,000 outpatient and emergency visits. Patient visits have increased by 33 percent since the Marcus Foundation first began funding Marcus Professorships in pediatrics in 2005. "This support will enable our Department of Pediatrics to recruit and retain outstanding faculty and trainees and develop novel clinical, research and educational programs. The benefits will be felt for years to come, not just at Emory and in Atlanta, but across pediatric disciplines nationally," says Margery McKay, vice president for development in the Woodruff Health Sciences Center. Physicians from the department provide care for children at all three hospitals of Children's Healthcare of Atlanta (Children's at Egleston, Children's at Hughes Spalding, Children's at Scottish Rite) and at Grady Health System and Emory University Hospital Midtown. "We hope the Marcus Society will be a game changer for pediatrics in Georgia by bringing together enterprising minds to tackle complex medical issues affecting our children," said Bernie Marcus. Marcus cofounded The Home Depot in 1979. He chairs the Marcus Foundation, which supports many causes, including children's interests and medical research. Marcus founded and funded the Marcus Autism Center. He and Billi Marcus have been listed among the country's top philanthropists.